Premium shaft construction using 100% carbon and high pressure molding process to maximize strength and performance at a low weight. The Kai Zen composite blade comes with a scratch resistant bamboo look finish. This paddle is a great combination of performance durability and looks. Blue Planet Carbon Shaft Paddle with a Bamboo look blade is made to impress. 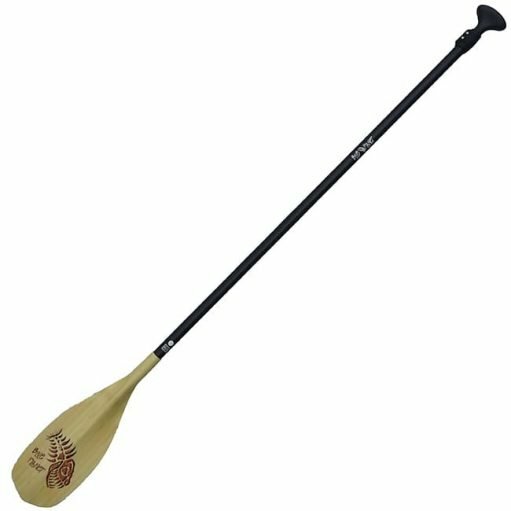 A carbon paddle with great performance, nice looks at an affordable price.